You don't necessarily need Photoshop or a desktop computer to employ eye-catching photo editing techniques. You just need your regular smartphone and a well-chosen app to go with it. Here are some of the best tricks you can do with the gadget in your pocket, with no expert training required. One of the first tricks you learn on Photoshop can be achieved almost as well through several mobile apps, including TouchRetouch (Android, iOS), PhotoDirector (Android, IOS), and A Better Camera (Android), which we've featured before on the pages of Field Guide. 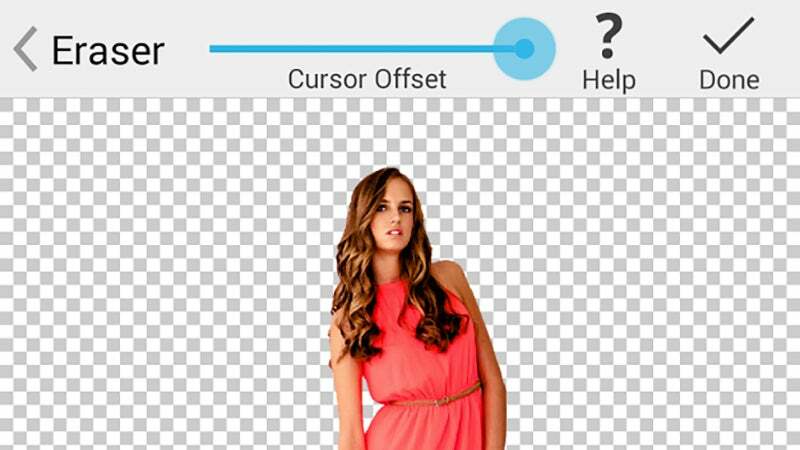 Take TouchRetouch, for example. Tap on any object or person you want to remove and the app uses the imagery information in the background to seamlessly paint over the spot. Be careful you're not using any sub-standard apps, though, otherwise your photo will end up looking funky. 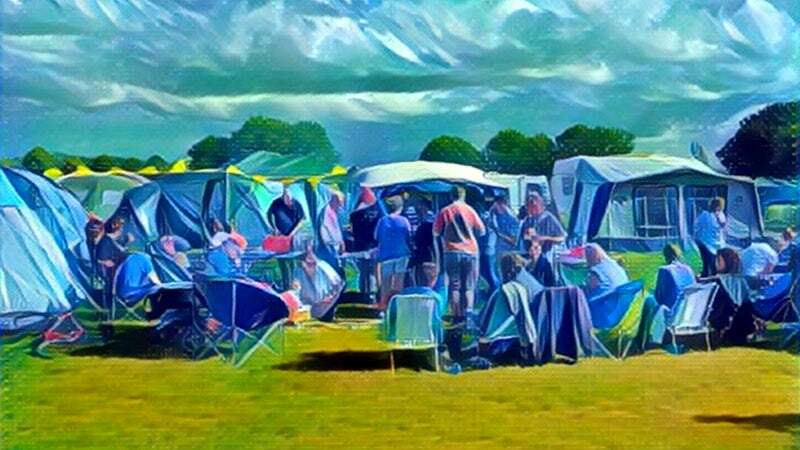 The hot app of the moment — Prisma (Android, iOS) — can do wonders with your images that compare to some of the artistic filters in Photoshop. Choose your picture style, set the strength of the filter, and Prisma's artificial intelligence does the rest. Let's not forget Instagram (Android, iOS), the mobile tool that first made photo filters famous, but as good as the effects are they tend to have rather abstract names instead of giving much indication of what they do (you'll need some trial and error to work that out). 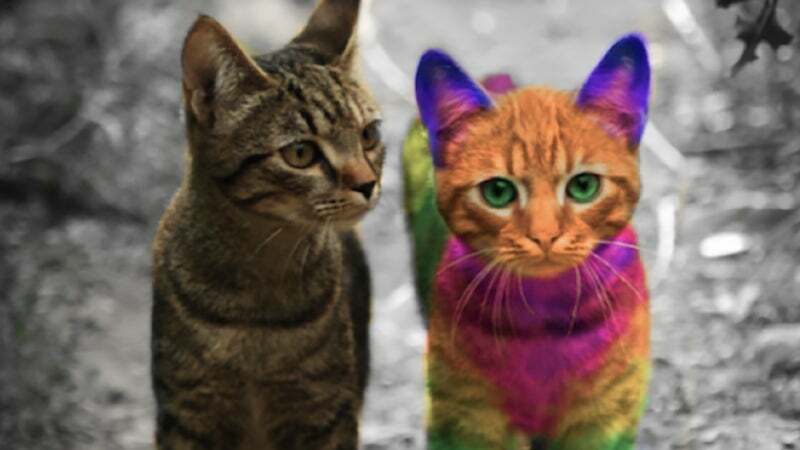 Colour manipulation is by no means beyond the reach of smartphone apps either, and you can enlist the help of tools including Photo Editor Colour Effect Pro (Android), Colour Effects (Android, iOS), Photo Splash (iOS) and a bunch of other similar photo editing tools. In most cases you simply pick your colour (or grayscale) brush and then paint using your finger. 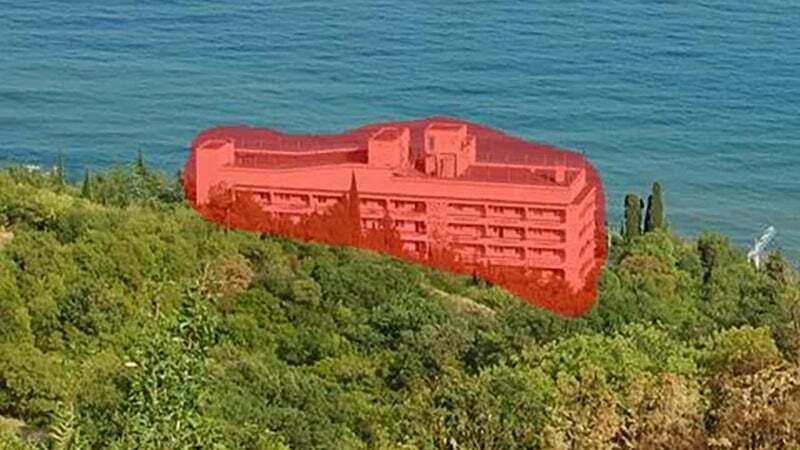 As with a lot of effects, accuracy depends on the app's zoom control and how well it can pick out the object you're trying to paint, but some impressive results are possible. Seen something in an image you want to lift out and use somewhere else? You don't need a desktop application with support for layers and transparency anymore. You need an app such as Magic Eraser (iOS) or Background Eraser (Android), which can do the same job in just a few taps. Obviously results can vary depending on just how detailed the background is, but for straightforward images with good contrast between the foreground and background these two apps work well. You can export the results in JPG and PNG format as needed. 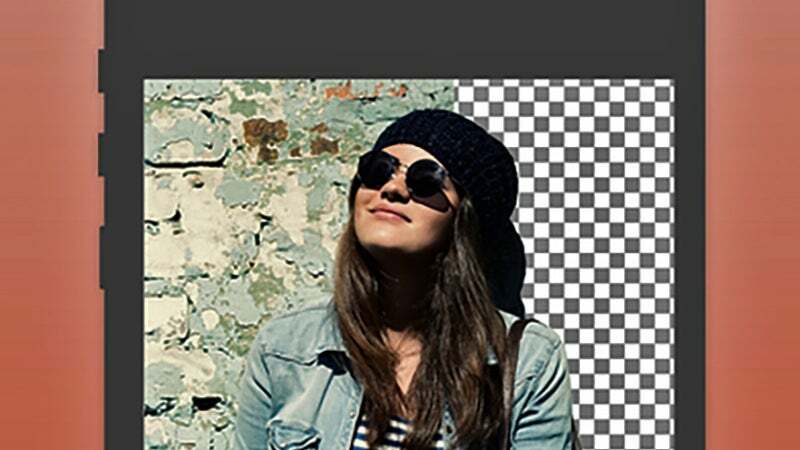 A full photo editing app is your best option for darkening or lightening an image, rather than a tool dedicated to just one job. Photo Editor by Aviary (Android, iOS) can do this and much more. Most of the options you're going to need are under the Adjust menu. 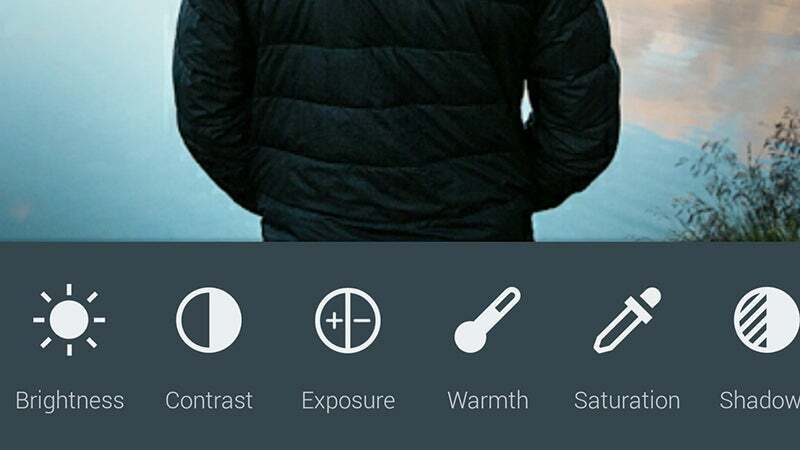 Simple sliders let you adjust brightness, contrast, exposure, warmth, saturation, shadows and highlights. It's a collection of options that stands up well to Photoshop and the like on the desktop. The app includes plenty of other enhancements and effects too. Getting the right angle on your subjects isn't always easy, but you can correct perspective afterwards without powering up the laptop and a desktop editing tool. Snapseed (Android, iOS) is very good at a lot of different photo tricks and this one in particular. 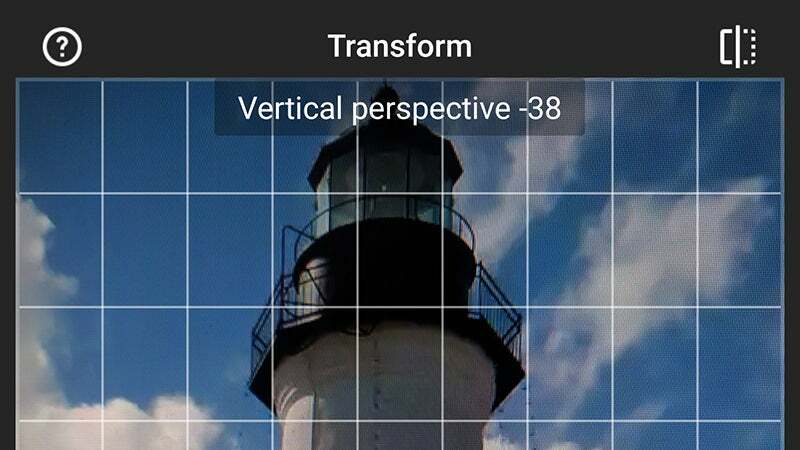 Head into the Transform menu from the main Snapseed editing screen and you can then cycle between adjustments for vertical perspective, horizontal perspective and overall rotation. A further tap and drag to the left or the right changes the image perspective. 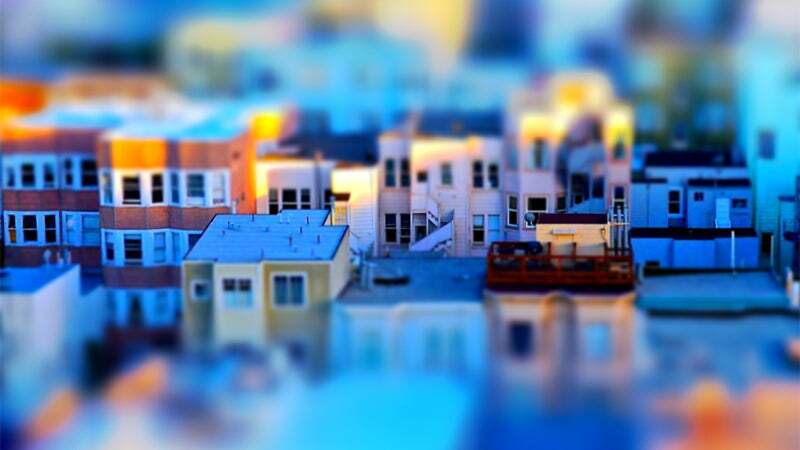 A tilt shift effect makes your scene look like a miniature model, with just one strip of it in focus. Dedicated apps such as Tilt-Shift Camera (Android) and TiltShift Generator Free (iOS) are up to the task, and it's also a feature in a lot of the bigger photo editing apps. One such app is Pixlr (Android, iOS) from Autodesk. With an image loaded, tap on the Tools icon (far left), choose Blur, and then pick Linear from the list of options. The focus, direction and strength of the tilt shift effect can all be adjusted manually.